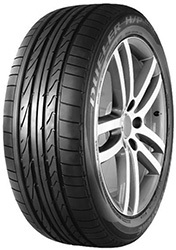 The Bridgestone Dueler Sport AO MZ is part of the 4x4 tyre range from Bridgestone. With great all weather handling and grip the tyre will give you a smooth and comfortable ride while retaining control over the terrain underneath. The D-Sport AO MZ tyre will perform well in all conditions.It has been recommended by Aido for audi vehicles.the D-Sport AO MZ can also be used on other vehicles.